Why scientists dispelled rumours of extreme waves at sea, based on flawed mathematics. Throughout history, countless ships have been lost at sea. Seamen have told tales of incredible freak waves, up to 30 metres high, sinking ships. But in recent years scientists dismissed their claims. 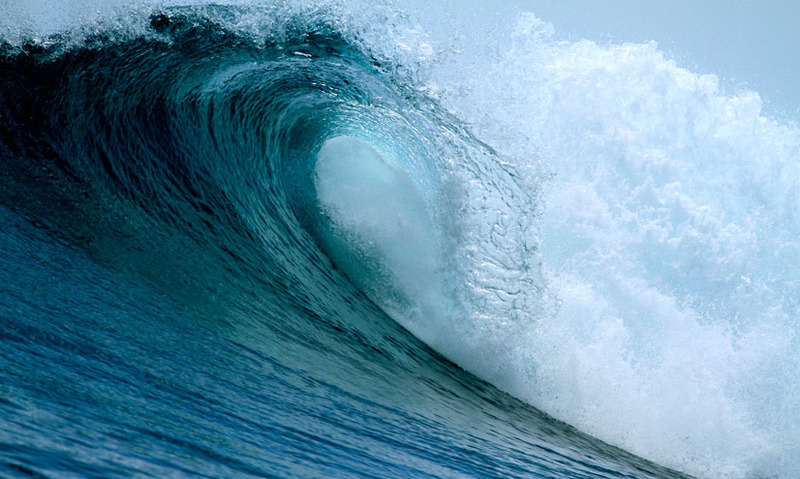 Creating mathematical models, which suggested the existence of these waves was highly unlikely. 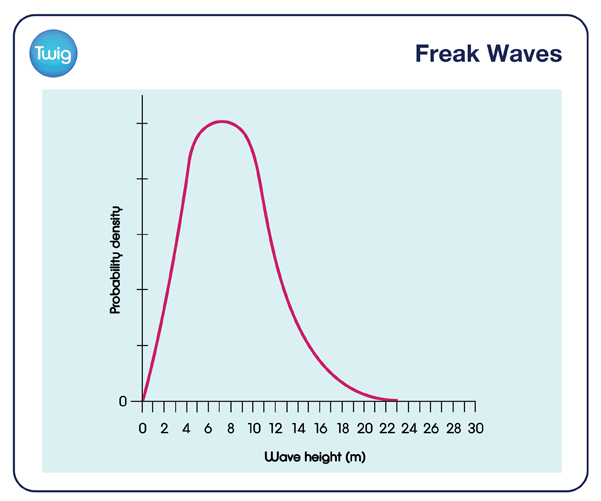 Dr Jim Gunson, Met Office, UK – "Using the linear model for a given sea state, this bell shaped graph gives the probability of a certain wave height and it's like in a population of children in a class. There is an average height of children, and most children are around that height. Some are quite a bit taller or shorter, but the chance that a child is three or four times the height of the average child is very, very small." According to the normal distribution graph for a storm with an average wave height of 12 metres, the chances of finding a 30-metre wave are minute. They should only occur once every 10,000 years. But more and more of these freak waves were being reported. Goran Persson, First Officer, MS Caledonian Star – "Out of nowhere I saw in the distance, about a mile away, a wave that appeared to be twice the height of the average wave height." Capt Karl-Ulrich Lampe, MS Caledonian Star – "We estimate the height of the wave, 30 metres, which is extremely high." "It was just like a mountain, a wall of water coming against us." Further research revealed that the scientists' models were incorrect. They had created their normal distribution curves based on the behaviour of a typical small wave. But the freak waves were in fact a different type of wave altogether, created when small waves had to fight against the current, causing a massive swell. Something that is relatively common and not, in fact, freakish at all! This is the equivalent of a whale amongst dolphins. The whale would register as extreme in size. But amongst its own pod, its size would be normal. The scientists had applied data for the large swell waves to the parameters for small waves, which skewed results. The seamen's tales of giant waves turned out not to be so tall after all.